Cozy sweaters are my jam! I’ve been living in oversized sweaters all month long, and know they will continue to be my go to until it warms up again in the spring. 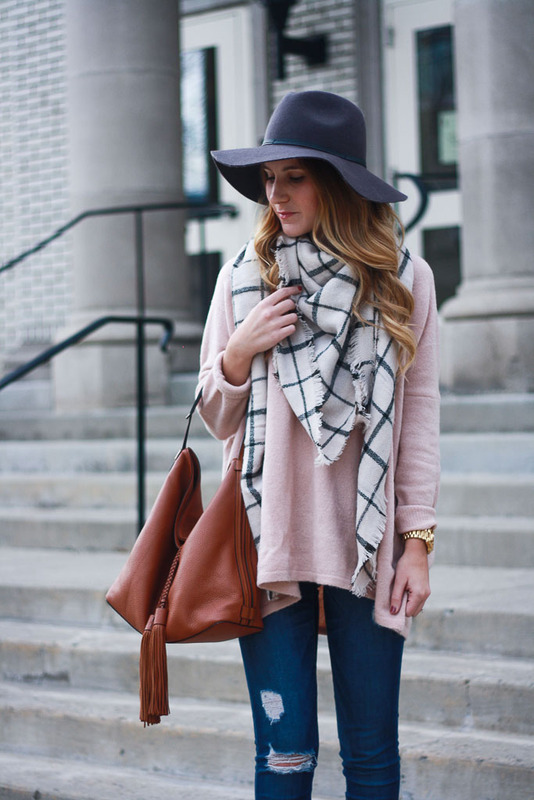 There is just something so perfect about putting on an oversized sweater and layering it up with a scarf and boots. It ensures that you stay warm and cozy all day long, which is definitely a must when the temps drop! If I’ve been loving any color, it’s definitely blush! 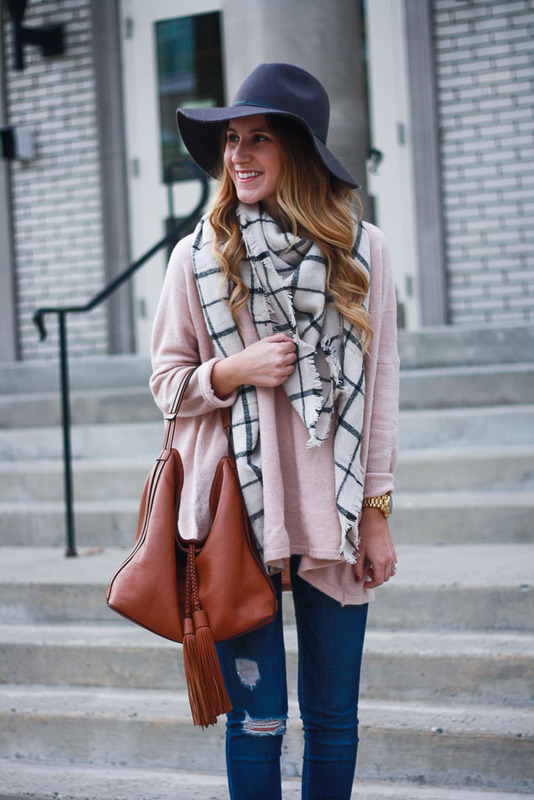 I’ve been drawn to blush pink sweaters and some of my recent purchases prove it! This v-neck option is my current favorite. I have worn it SO many times and love how oversized it is. It’s perfect for lounging around the house or wearing to work. At just under $50, it would make the perfect gift too! If you are also crushing on blush, I’ve rounded up some of my favorite blush options. Shop them under the first photo!